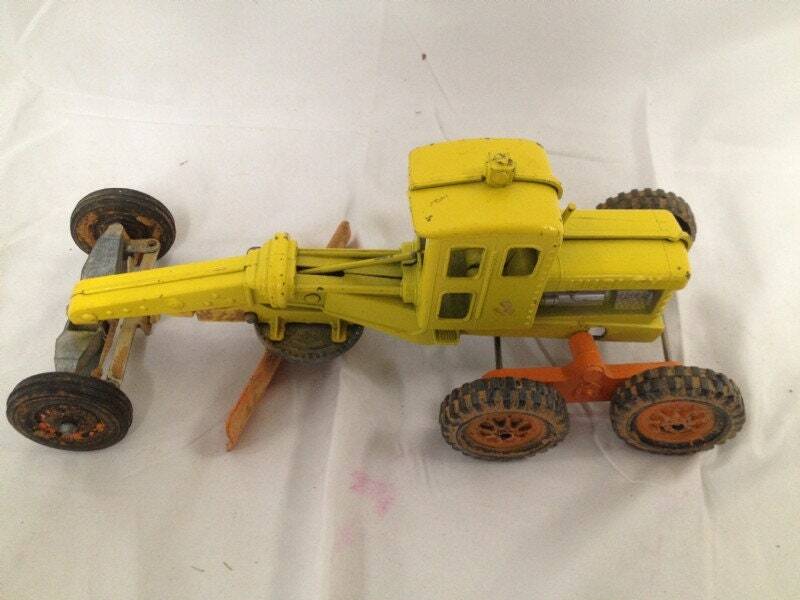 This is a really nice screaming yellow vintage Hubley Grader Scraper. Tires, axles, blade, and all play features are in good working order with one exception -- the rear axle collar is broken off at the frame. A dab of JB Weldnor anything else would fix it. Otherwise this is an awesome looking Hubley.